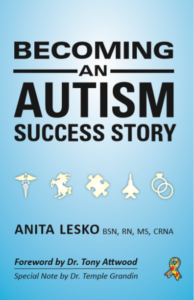 Becoming an Autism Success Story - Rachel Bédard, Ph.D.
Anita was diagnosed with Asperger’s at age 50. In a mere decade, she has become an international advocate for folks with ASD, written a few books, and spoken at the United Nations (you know, regular every day events). Harnessing her strong visualization skills and her autism-given research skills, Anita has made her mark. She has her personal goals and passions (medicine, horses, aviation), sets lofty goals, and then reaches those crazy goals. She is diligent in her preparation, uses visualization and science to move her forward, and then has the capacity replay her successes in a vivid multisensory way. This book outlines Anita’s visualization approach, offers clear guidance and realistic encouragement, and is a testament to the “can do” attitude that is so important in life. As if pursuing her own goals and writing this book wasn’t enough, it is important to note that Anita has her sights set on being (being, not becoming!) an advocate for folks with ASD. 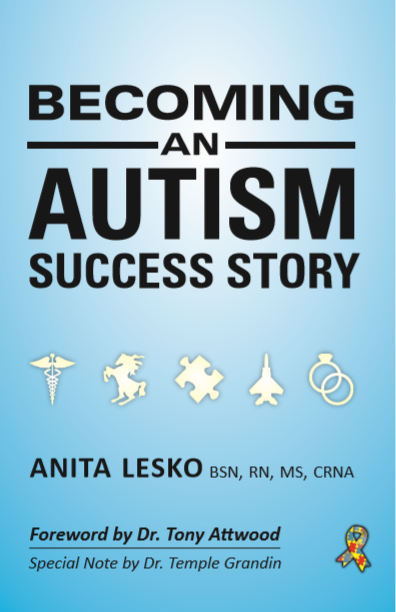 Her impressive body of work includes resources for medical interventions for folks with ASD, realistic strategy, and driving! (Driving is a constant discussion in my office, so the more resources the better!). Further, Anita was included in the Spectrum Women book and was interviewed by Dr. Hackie Reitman of Different Brains. Anita is one to watch. She shows no signs of slowing down. Thank goodness she is here; we have much to learn from Anita, and she is generously showing us a path to success!